Bake your own robot « Adafruit Industries – Makers, hackers, artists, designers and engineers! Bake your own robot @ MIT News Office. 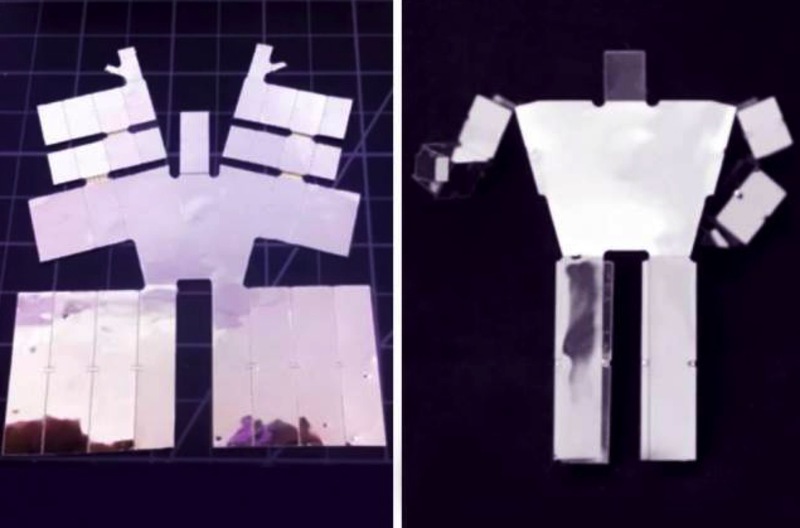 Before-and-after stills from the video “An End-to-End Approach to Making Self-Folded 3D Surface Shapes by Uniform Heating.” The left image shows the self-folding sheet for a humanoid shape, while the right image shows the completed self-folded humanoid shape.